Sugar, sparkle and sass are the key ingredients that go into our delicious cupcakes and cookies. 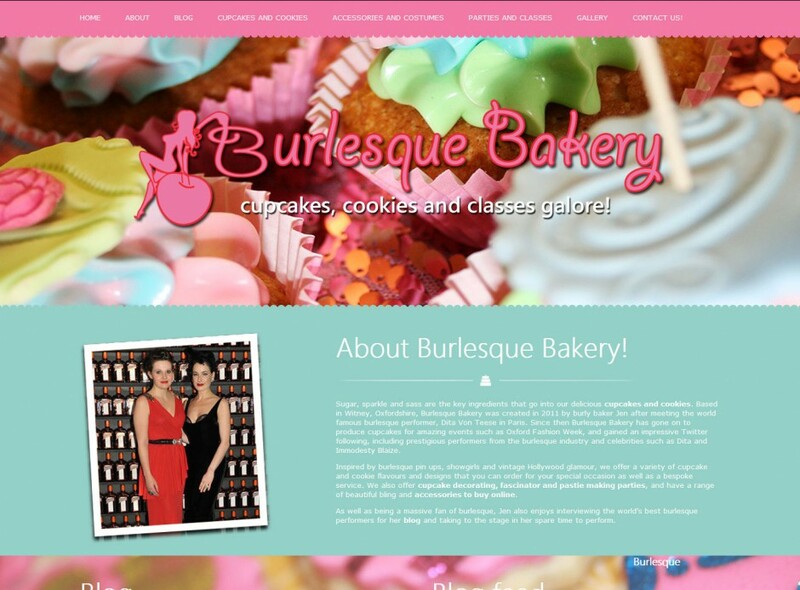 Based in Witney, Oxfordshire, Burlesque Bakery was created in 2011 by burly baker Jen after meeting the world famous burlesque performer, Dita Von Teese in Paris. Since then Burlesque Bakery has gone on to produce cupcakes for amazing events such as Oxford Fashion Week, and gained an impressive Twitter following, including prestigious performers from the burlesque industry and celebrities such as Dita and Immodesty Blaize.